Ubisoft posted a pretty honest and straightforward blog post last week about the state of their "build-your-own" spaceship shooter, Starlink: Battle for Atlas. 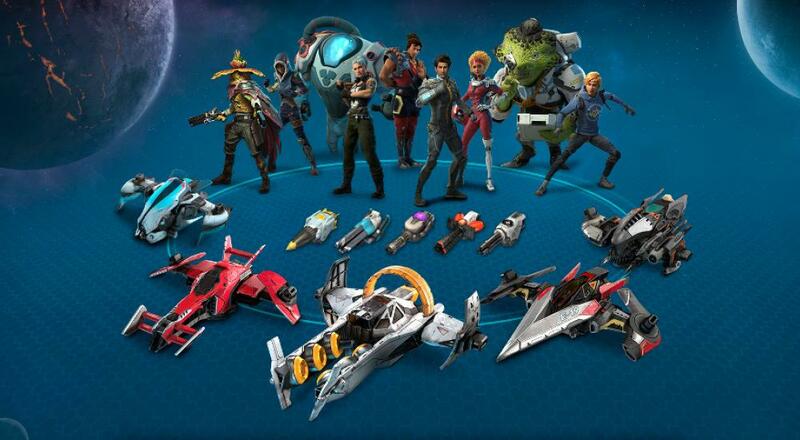 The initial launch of the title was somewhat surprising as all of the "toys-to-life" games of the past few years have seen a steep decline, but Ubisoft seemed to account for that by offering the option to use physical or digital content in Starlink. It appears, though, that that still wasn't enough to help with the sales as Ubisoft stated they've "made the decision to not release any additional physical toys for the Spring update and in the future." As Marc covered in our Co-Op Review for the game, you can still use all the digital content to assemble the ships you want to use. While you can play with the physical ships outside of the title, and even bring your own custom creation to a friend's house and use it there, the physical versions don't get you much else. It's not too surprising that things ended up here. Even if the game didn't have the same paywalls found in other titles (where content was locked behind having certain toys), folks got pretty burnt out on all of those plastic doodads lying about the place. It's worth noting that while the physical ships may be ending, content itself will not. As Ubisoft further states in the post, "we are currently hard at work on our biggest update to the game so far and are pleased to tell all of you that there will be new digital ships, pilots and weapons to collect." This is likely separate from the Switch only Star Fox content that will be dropping sometime soon. Starlink: Battle for Atlas is available on Nintendo Switch, PlayStation 4, and Xbox One. Two player drop-in/drop-out couch co-op is supported throughout the campaign. Page created in 0.5709 seconds.